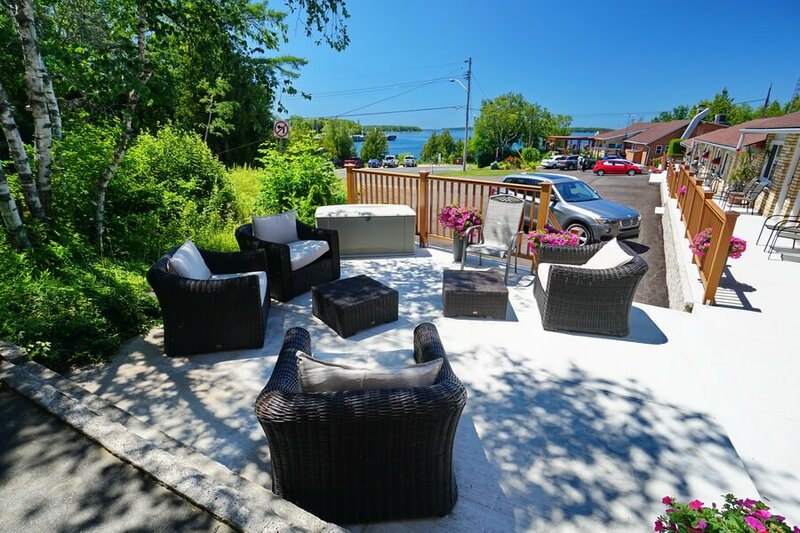 You are only steps away from decks with gorgeous views of Georgian Bay, especially at sunset. 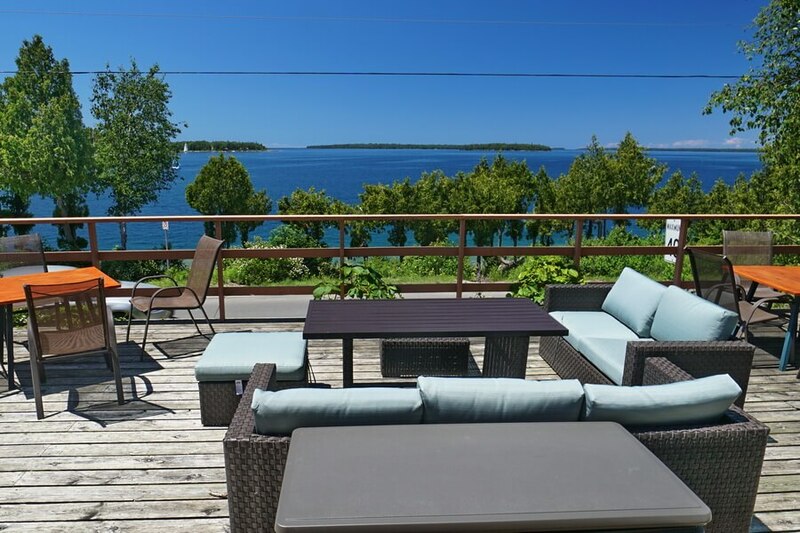 These rooms offer spectacular views of the mouth of Little Tub Harbour, the Chi-Cheemaun Ferry and the islands. 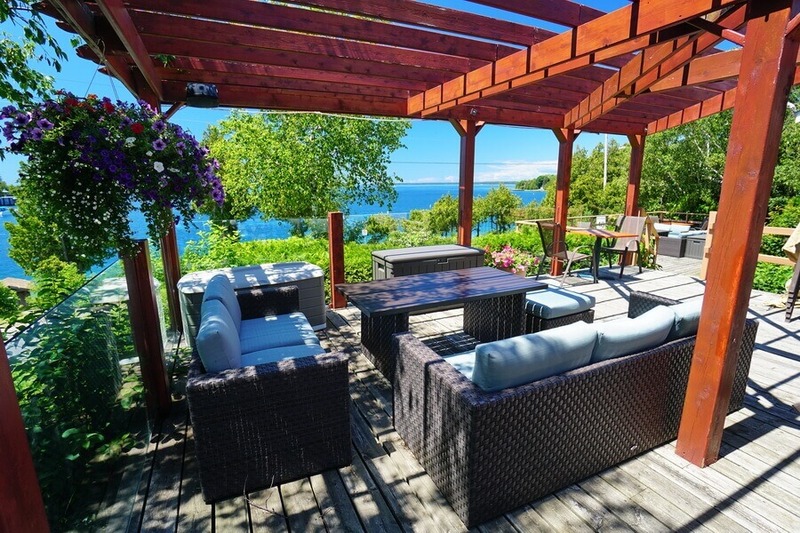 You are only steps away from decks with gorgeous views of Georgian Bay, especially at sunset. 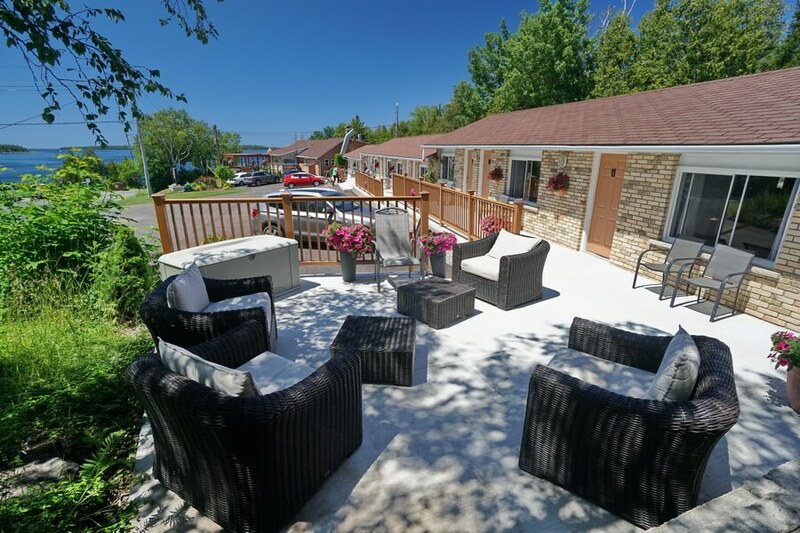 This suite enjoys a three piece bath (large 60″ shower), full air conditioning, a ceiling fan, upgraded wireless high speed internet access, colour television with cable. 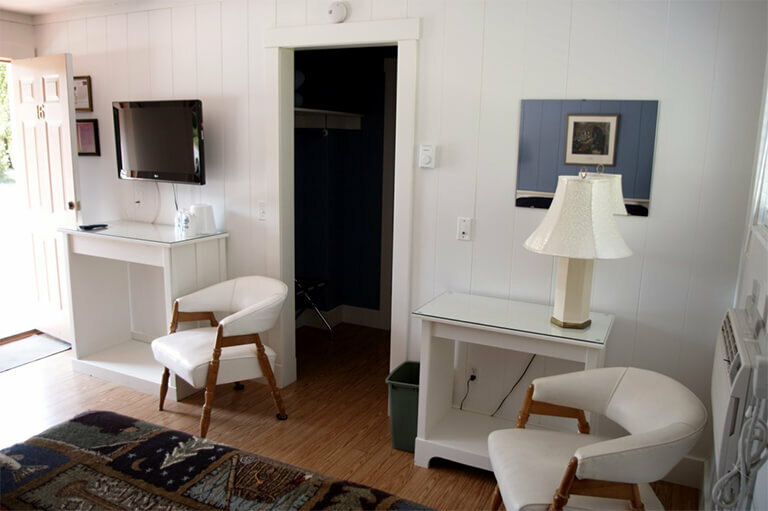 In addition, guests have use of a computer located in the office as well as complimentary coffee, free ice, and free parking. 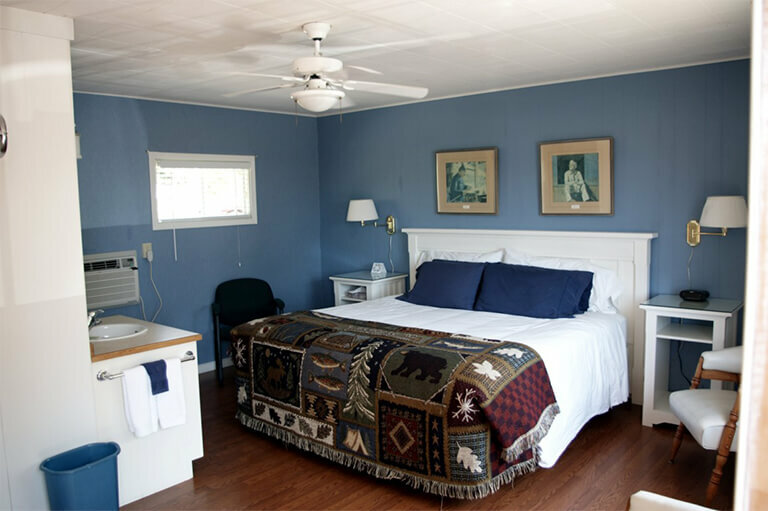 If this specific room is not available we have other rooms of a similar style. Some of our rooms are on the second floor so stairs are required to access some of these rooms. 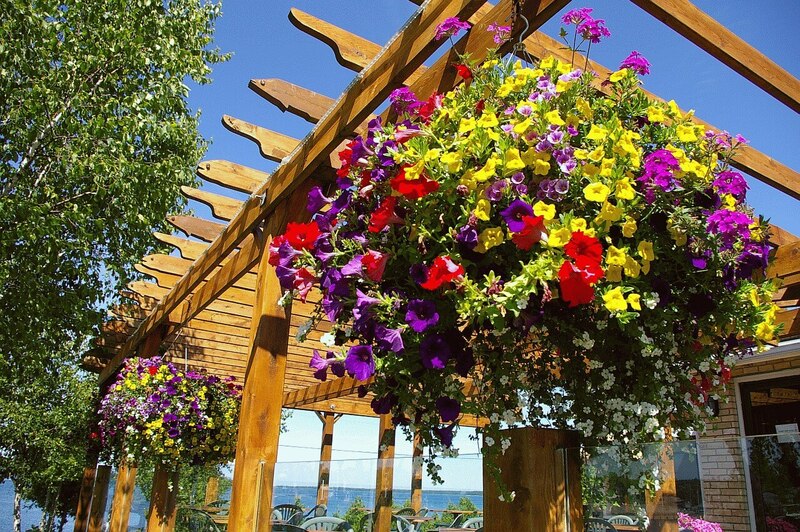 Check out time is 11 am, with check in anytime after 3 pm. Should your travel plans change we ask for a 48 hour notice of cancellation, 5 days notice for reservations of 3 or more rooms. Room pictures may vary from photo image. 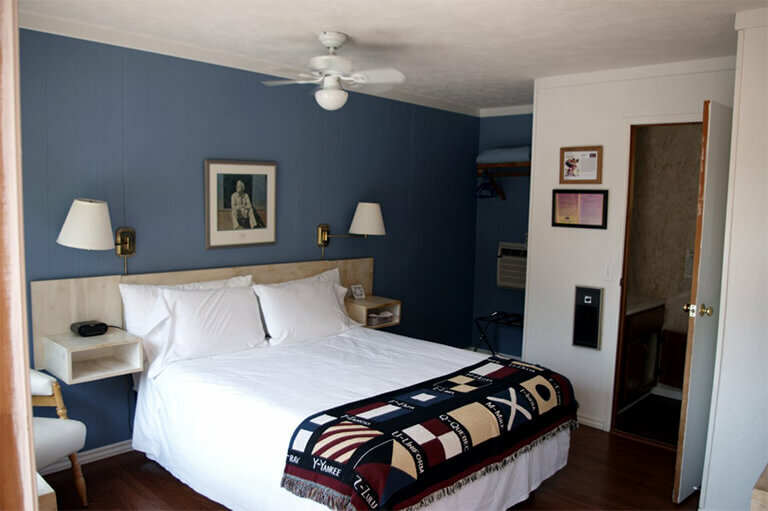 More room details, pricing and availability information is available with our online booking system. 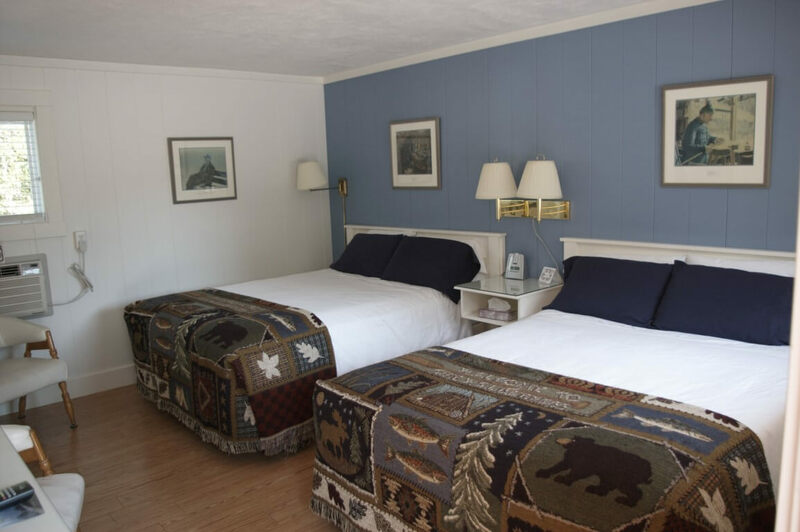 You can check availability and prices without booking a room using our Grandview Motel Online Reservation System.